When you’ve reached the end of your rope with inept farm chemical providers and you’re looking for a reliable source that won’t leave you high and dry, give us a call. You’ll be happy with what we have and how we treat you. 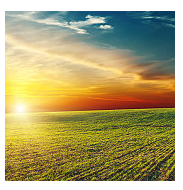 As an online company that connects you to the source of your supplies and eliminates the middleman, we can sell to you less expensively than any farm chemical providers you may have previously used. Working with the major manufacturers, generic chemical producers and brokers in this country we’ll find you the lowest price possible on whatever farm chemicals you use. We’ll also work hard at letting you know about specials, when prices change, and when there’s a potential shortage. We do that by staying in touch with the “Chemical System” each and every day. We’ll help you to make better decisions regarding your purchasing choices and help you avoid missing out on potential programs and great sales. If the supplier you’ve been using has let you down for the umpteenth time or you believe you’re paying far more than you need to for your chemicals, check out what we have to offer. We think you’ll like what you see. Our “Name Your Price” deal will bowl you over! Here’s how it works — YOU state the delivered price you will pay for your product and we’ll find a supplier for you! Just give it a try and see! Give us a call toll free anytime at 1-855-392-8924. You’ll be glad you did. It’s simple and it’s free. We are also able to provide you with instant quotes so you’re not waiting around to hear back from us.